Sometimes the average Scottish holiday cottage just won’t do. When you’re getting all the children (and their children) together for a holiday. When you’re organising a reunion for a group of old friends. Or when you and your nearest and dearest are gathering for that special birthday or anniversary. Rosslyn Chapel is located south of Edinburgh and is a hidden gem. In fact, its “hidden” nature would have remained just that, if it had not been for a certain Dan Brown who made his own visit and subsequently wrote it into his best-selling book “The Da Vinci Code”. 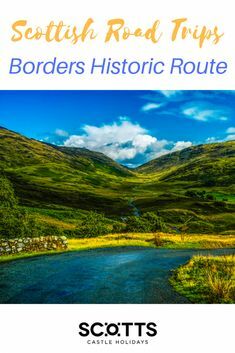 Travelling west from Glasgow on the coastal road, the A78, following the Firth of Clyde, it is easy to see why this area is popular with the locals as a short break destination. With quaint villages and towns and good access to the sea, you can see why the hard working Glaswegians of old would go “doon the Watter” to get some fresh air and to enjoy wonderful scenery. Today trips are available via Clyde Cruises to cruise down the Clyde and these excursions take just short of 3 hours on the boat and make a very pleasant outing for the day. Continuing south through Wemyss Bay, where the ferry leaves to get to the Isle of Bute, you will also find an excellent local butcher. In May 2015, Mearns T. McCaskie Butchers have been awarded 2015 Scottish Haggis champion makers, so well done to them and this seems to be the best place to get your haggis if you are staying locally. Further on, you arrive at Largs, which is very well known in Scotland for Nardinis Café and its ice cream. Anyway enough of ice-cream and haggis, the area is wonderful with the highlights being the coast and what is on offer scenically with the islands beyond. If you are staying at the Historic Medieval Castle, situated on the hill above West Kilbride, which offers self-catering breaks for up to 12 people – then you will have magnificent views from the top of the castle overlooking the sea past Great Cumbrae to the Isle of Arran. You will have already noticed that the tropical type of plants in this area, with bamboos and palms, which gives a clue to the milder weather that this south western part of Scotland enjoys. From here on in the Ayrshire coast becomes ideal for golf, with the coastline perfect for the classic links golf courses. The sport’s oldest and most prestigious golf tournament has its roots here with the first British Open being held in Ayrshire in 1860 at Prestwick. There are many superb courses to choose from including the great sounding Western Gailes and Kilmarnock Barassie, but with the British Open returning to Royal Troon in 2016, the world’s focus will be back on this part of Scotland. Apart from enjoying a cruise on the Clyde, travelling onto various islands like Bute and Arran, eating ice-cream at Nardinis, playing golf on one of Ayrshire’s many renowned golf courses – what else is there to entertain you? 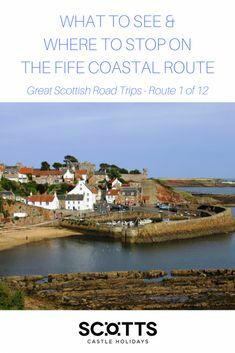 Here are 10 more things you can do or visit in this area; 1, Dumfries House; 2, Culzean Castle; 3, Robert Burns Birthplace Museum; 4, Portencross Castle; 5, Eglinton Country Park; 6, Ayr Seafront; 7, Ayr Racecourse; 8, Troon Beach; 9, Scottish Maritime Museum; 10, Kelburn Castle. 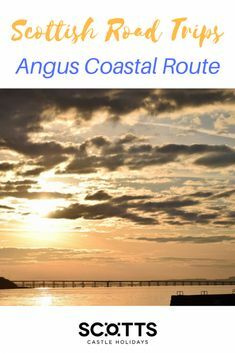 With a great variety of things to do and see, this part of Ayrshire on Scotland’s west coast has been a well kept secret to the locals for many years and if you feel that this undiscovered part of Scotland should be discovered, then at Scotts Castle Holidays we will be delighted to assist you further. 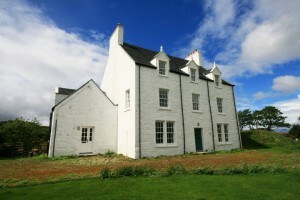 Please contact today to for more information on self-catering large holiday houses in Scotland. Rosneath peninsula, is one of those easily accessible but rarely discovered places, as most people either enjoy the Loch Lomond views before or continue to drive on by to get further west. Located 30 minutes north west of Glasgow, it is surrounded on three sides by water, with Loch Long, Gare Loch and the firth of Clyde. Scotland as a whole is also surrounded on three sides by water, so it is no surprise there are still operators offering ferry services. What is a surprise is that you may need a ferry when you are not on an island and using one on this peninsula is an unexpected pleasure and an excellent way for tourists to see the coastline. However be aware that the smaller ferry routes may only operate in the summer months, so always check in advance. The Kilcreggan Ferry operates all year round (not on a Sunday) between Kilcreggan and Gourock, with a crossing time of less than 15 minutes. Bear in mind that the drive between these two locations is 46 miles, so this is a significant saving in time. For those staying at the Magnificent Scottish Castle near Cove, this ferry service is a good way to see what the Rosneath peninsula looks like from the Clyde estuary. The Caledonian MacBrayne (Calmac) ferries operate on the longer routes and if you wish to travel onto any of the islands, like Arran or Bute, this is the ferry company for you. Furthermore, like many parts of Scotland, Rosneath has its own Highland Games and the next games take place on Sunday 19th July 2015. 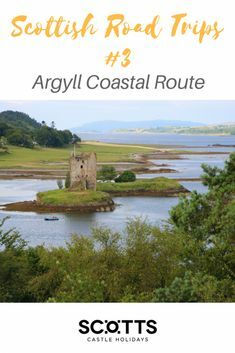 All-in-all, travelling on this coast road, the B833, on the Rosneath peninsula is an ideal “Sunday Drive” taking in all the fine coastal views, and one that comes highly recommended from Scotts Castle Holidays. 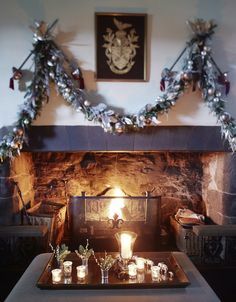 For all those who have booked your festive holiday break with Scotts Castle Holidays, it is a time to enjoy your well earned break and relax in the comfort of your chosen Scottish holiday house. Thankfully this year the forecast for the weather seems relatively benign and whilst it will be cold, there does not seem to be extreme weather forecast. Of course for those of you who want snow in abundance then there may be disappointment, as it seems that there will only be snow on the hills and the odd snowfall according to the Met Office. So all of the roads in Scotland are easily accessible and the worst aspects of the forecast are for freezing conditions at night, limited amount of snow, rain and fog. This means that the driving conditions look good – but you always have to be aware of the outside temperature as the smaller roads will be susceptible to ice, with “black ice” the most difficult to spot. Always check the traffic reports in advance, keeping the radio tuned into this in the car, whilst it can be checked on-line at Traffic Scotland. There are going to be cold conditions, even if the snow is only at the top of the hills, so once on the road, make sure you have packed enough warm clothing and taken the time to put stronger anti-freeze into the car. Drive carefully for the conditions. Driving during the festive break will take longer due to the increased holiday traffic – so take more time for your journey and start earlier. Plan your journey, set the SATNAV and always have a road map, just in case you have to go manual. By taking extra care it will make your journey less of a concern and improve your enjoyment of your holiday, there and back. We wish everyone a Happy Christmas and a prosperous New Year. There have been a number of lists issued recently about some of the amazing places to visit in Scotland and it was pleasing to see that the traditional favourites like Edinburgh Castle remain at the top and refreshing to see so many other attractions being talked about that were less well known. In that theme here are “six of the best” to consider…. 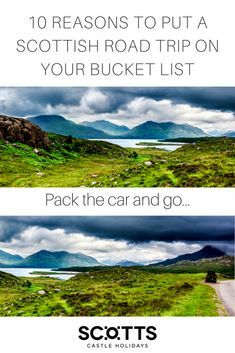 Travelling to the Isle of Skye is a joy as the journey there is epic on the scenery front. Driving along the A87 with the “Five Sisters” mountains on one side, with the goal of reaching Kyle of Lochalsh, you just have to stop at Loch Duich and visit the iconic Eilean Donan castle. Take the obligatory photograph, with the extra mist or cloud to give it even more atmosphere, before reaching the bridge that takes you on to the Isle of Skye. 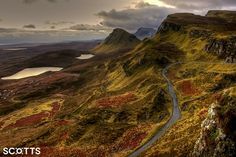 Once on Skye, it is dominated by the Cuillin Hills and the roads become smaller the further into the island you travel. 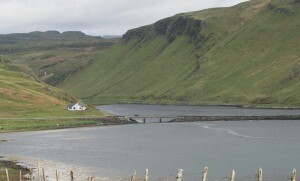 If you choose to stay at the Island Holiday House (see image on left), this can be found on the North West section of Skye. This large holiday house sleeps 12 people on a self-catering basis and was the former dower house to Dunvegan Castle, which is opposite across Loch Dunvegan. It is ideal for a large family with a large open-plan kitchen with living space, sitting room, music room and games room – so plenty of space for everyone, even on a rainy day. 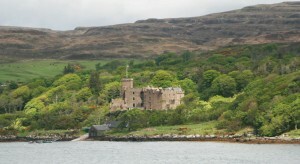 Dunvegan Castle and garden is open to the public and is well worth a visit. It claims to be the the oldest continuously inhabited castle in Scotland and has been the ancestral home of the Chiefs of Clan MacLeod for 800 years. Walk in the footsteps of previous guests to the castle including, Sir Walter Scott, Dr Johnson, Flora MacDonald and Queen Elizabeth II. From the house there are lovely walks, with the hike to the top of Macleods Tables quite a challenge. Fishing can be arranged locally, either on hill lochs for brown trout fishing or private charter for mackerel fishing. Or stroll along the salt and pepper sand of the coral beaches beyond Dunvegan Castle and a hike around the nearby Fairy Glen, an eerie landscape of pocket-sized hills and tiny lochs. There are spectacular views out across a tapestry of wind-battered cottages and bungalows with wild open grazing land. 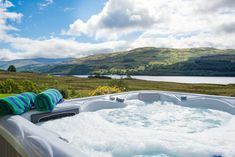 All-in-all, over a week’s holiday there is a lot to see and do on the Isle of Skye, whilst the Island Holiday House, has space and room to entertain a large family or a group of friends in comfort and style. For those thinking of travelling “over the sea to Skye”, this large holiday on the Isle of Skye, will be a great self-catering venue for your island adventures. Contact Scotts Castle Holidays today for more information. Sharper nights, shorter days, leaves changing from green to red – autumn in Scotland can be even more stunning than in summer. The days can be bright and you get the full majesty of the scenic panorama of hills and glens and glistening lochs. On the ground, the autumn harvest of fungi can be found in the green carpet of coniferous forest. If wild mushroom picking, always best to have a knowledgeable guide or have someone in your group who knows what to pick. Pictured, is the classic Penny Bun (Boletus Edulis), which is also known as porcini or cep, and these were found at the Historic Highland House (in background of picture). This large holiday house in Scotland provides accommodation for up to 13 people on a self-catering basis and to make a booking, contact Scotts Castle Holidays today for more information. Whilst many Alpine ski resorts are facing the worst start to their ski season for 15 years, it is a different story in Scotland, especially at the Glencoe resort, as snow has been falling over the last two days, and another three foot of powdered snow is expected next week. For those wishing to go skiing over the winter of 2011/2012, did you know that the Glencoe day passes only cost £25! Only 20 miles from the Glencoe Mountain Resort, you can find a large holiday house, the Grand Mansion with pool, which offers self-catering accommodation for up to 22 people. For a smaller group, there is the Holiday Lodge with pool, which can accommodate up to 10 people. So let it snow and come to Scotland for your skiing holiday in the 2011/2012 season. For further details on accommodation availability and selection – please contact Scotts Castle Holidays.